B23 –Etron Fou Leloublan Hep! Licensed Through – Cherry Red Records Ltd. This version has red labels (there is another one with black labels). Including a 22" x 22" poster. 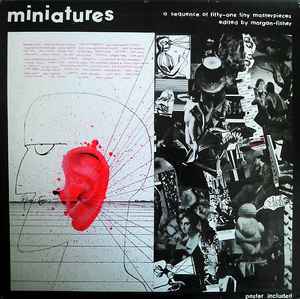 Many of the Miniatures artistes also contributed visual items for the enclosed poster. Side A: total duration 24' 37"
Side B: total duration 24' 10"
sampled by J Dilla & Kid Cudi A16, some obscure crate diggin!